On March 21, 2019, “Opticalizing the future” – PT. 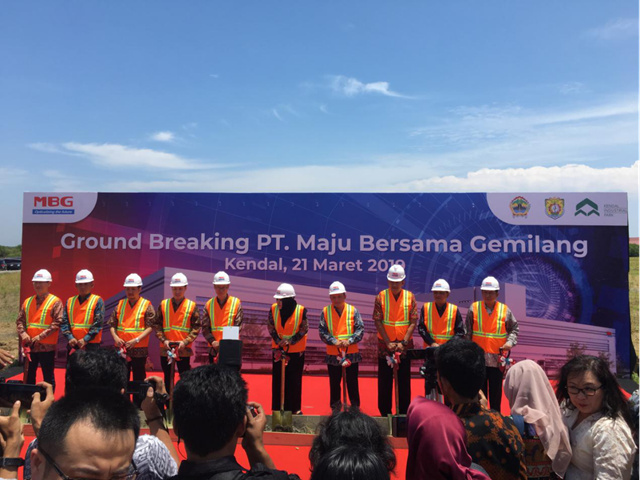 MAJU BERSAMA GEMILANG (hereafter as MBG) held a ground breaking ceremony for the launch of the new plant in the Kawasan Industry Kendal, Kendal-Jawa Tengah, Indonesia. As a subsidiary of Hengtong, MBG shoulders the mission of Hengtong Internationalization. 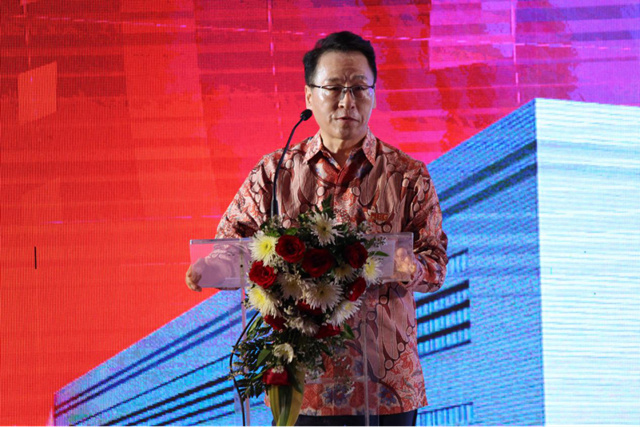 Representatives from the Central Java Region, the Ministry of Industry, the Ministry of Information Industry, APJATEL, and the Hengtong Group visited the site and delivered speeches, The event also invited PT. VOKSEL, Kendal Park Management Committee, and ANZ, CCCC Second Harbor Consultants company, CSCEC Third Bureau and other units witnessed. 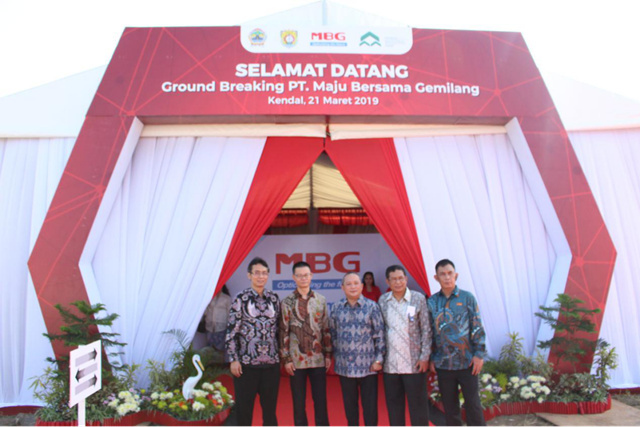 With the expectations of everyone, the first foundation of the MBG factory was successfully completed at 11:28 on March 21, 2019. Mr. Frank Wu, President Director of MBG gave an opening speech, introduced the overall situation of the project. The project will be carried out in two phases, the first phase of the project will be completed in 2019. He said the project will bring the most advanced manufacturing technology and strive to make Kawasan Industry Kendal become the largest and most advanced Telecommunication production base in Indonesia and Southeast Asia. 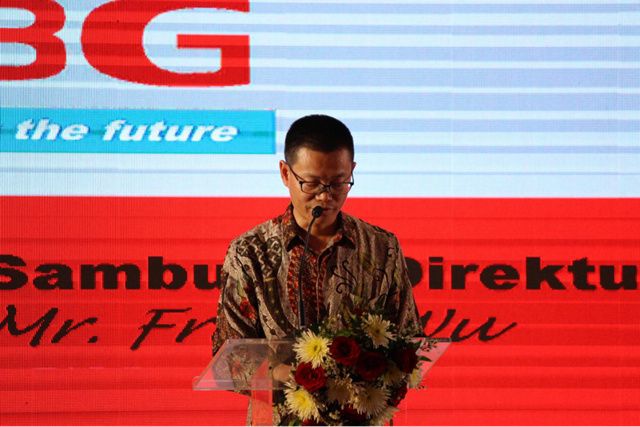 Mr. Frank Wu on behalf of PT.MBG promised that the project will create nearly 600 jobs for the local, and will assign local staff to abroad for skills training, so that local employees will have superior manufacturing skills contributing to Indonesia's manufacturing upgrades and Industry 4.0. Mr. K.H.Park, general manager of International Industry Unit of Hengtong International Industry Group expressed in his speech that the ground breaking of MBG is another important milestone of Hengtong Internationalization. The products of MBG, can not only create value for Indonesia, but also create value for neighboring countries in Southeast Asia. Hengtong will continue to support MBG and wish it success. Mr. Park said that besides Indonesia, Hengtong has established industrial bases in Europe, Africa, South America and South Asia respectively. In the future, Hengtong will continue to explore the internationalization road. Representatives from the Central Java Region, the Ministry of Industry, the Ministry of Information Industry, APJATEL, etc. delivered their respective wishes for PT.MBG and expressed their strong support for the construction and subsequent development of PT.MBG. It is also very much expected that PT.MBG will help Indonesia's Industry 4.0 construction.